Snippets and stats can't give you the whole picture but they can give you a sense of the scope of research at the University of Delaware. 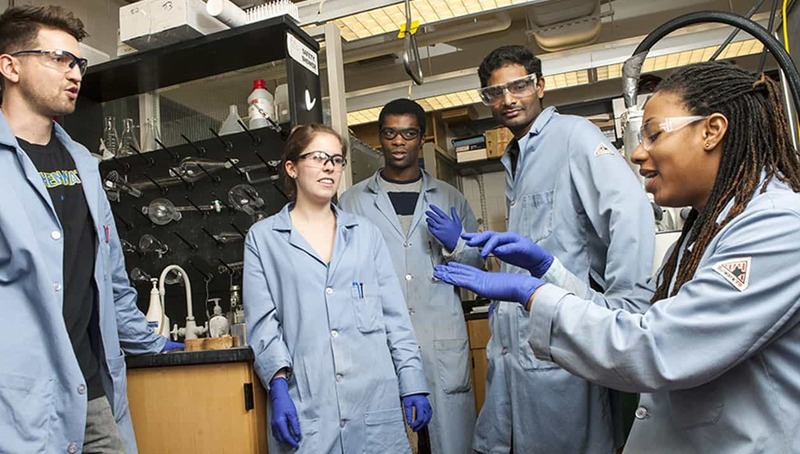 Thriving research institutes and centers at the University of Delaware reflect the diversity and rigor of UD’s research interests and activity and our commitment to improving the quality of life in Delaware and beyond. 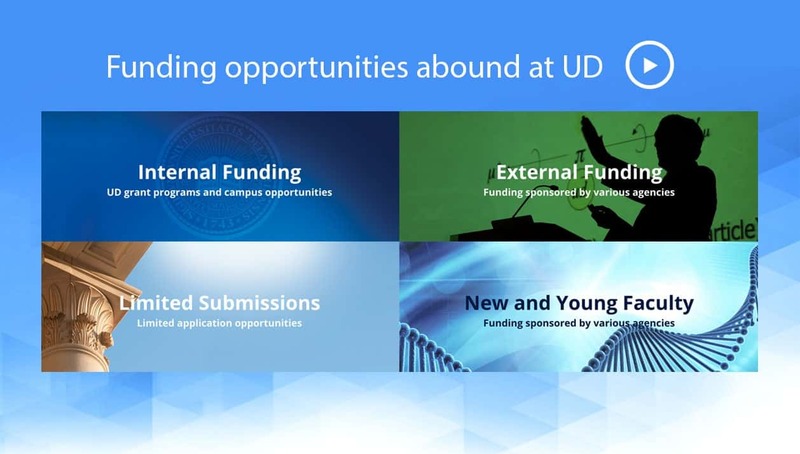 UD’s research core facilities are increasingly becoming important state, national, and international assets. And our portfolio is expanding. Click the name of a facility below or visit our resource to learn more. 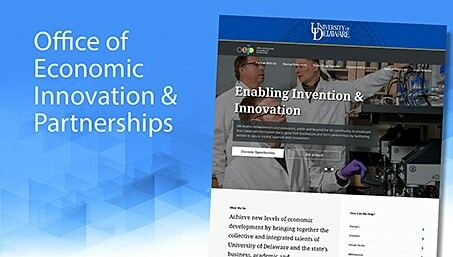 Achieve new levels of economic development by bringing together the collective and integrated talents of University of Delaware and the state’s business, academic and entrepreneurial communities. 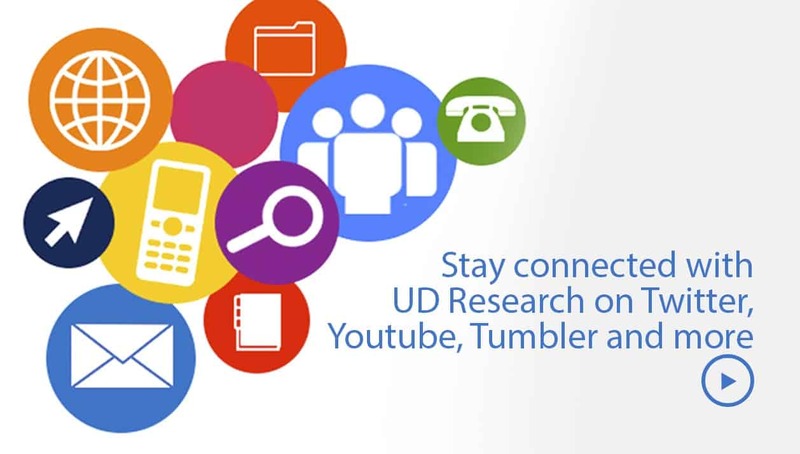 UD is a research-focused university with a wide array of programs, departments, schools, centers and organization with an enrollment of over 23,000. University of Delaware researchers are making discoveries that are important locally and globally which have spurred on multiple partnerships that have taken wing to ensure UD’s scholarly efforts have the broadest and most sustained impact. At the University of Delaware we believe the well-being and advancement of our society depend on the never-ending pursuit of knowledge, achieved through open inquiry and the free exchange of ideas and we are committed to support these endeavors in many ways. 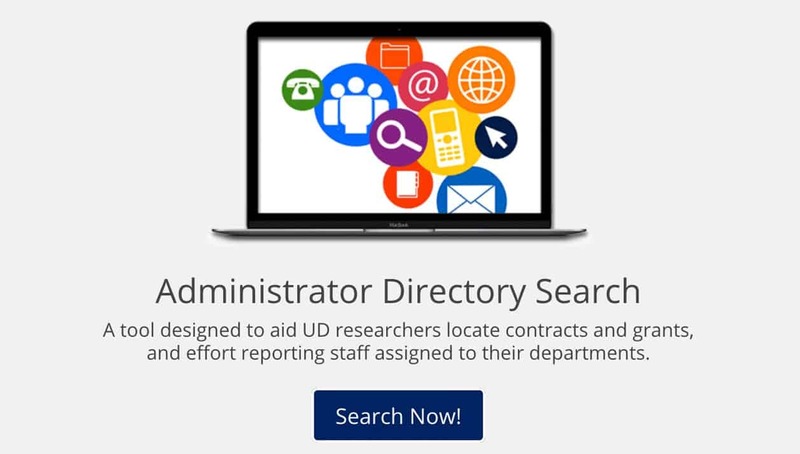 Here you will find a repository of forms, policies and procedures related to research at the University of Delaware. This repository draws on sources throughout campus to provide quick and easy access to these resources in a variety of formats, such as html, MSWord and Adobe PDF. 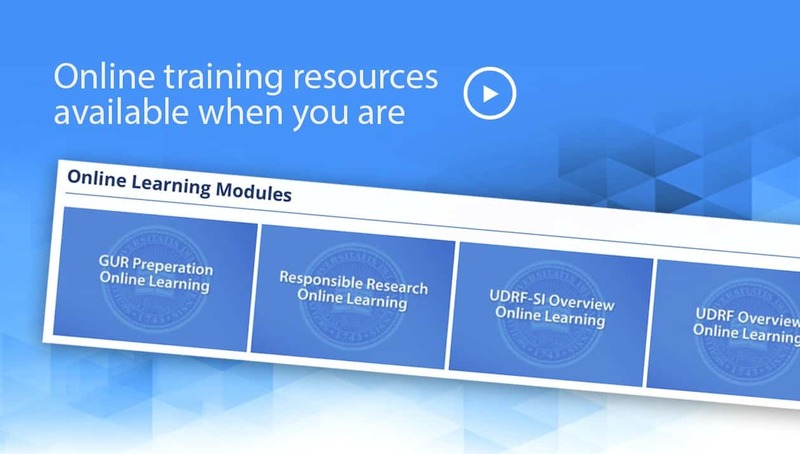 We encourage you to explore and use the tools provided to narrow your search by word, resource type or category in order to learn more about the content that governs research at UD. to provide a basis for establishment of institutional patent, copyright, and trademark agreements with the federal government and other agencies. indicating the extent to which equipment or physical facilities provided by the University were used in the work which led to the invention. 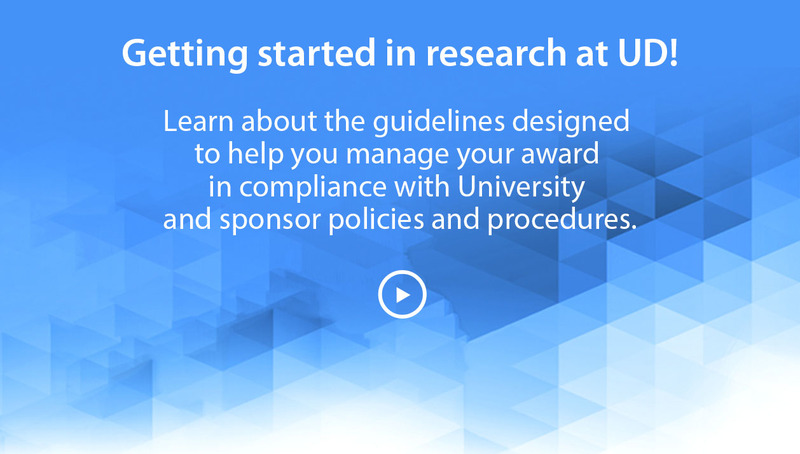 To implement University Legacy Policy 6-7 on Copyright Processing and Funding, an author or developer who may wish to pursue copyright or trademark protection for a work or development would file a memorandum with the Research Office requesting review of the material and opportunities for intellectual property protection. in certain cases referred to brokers or outside entities with whom the University has contracts to assess commercial potential and interest in their filing and attempting commercial development. University-funded researchIntellectual Property resulting from efforts conducted by faculty, staff, or students, that have been financed wholly by the University or have involved the use of University facilities, equipment, or materials, are covered by section B, above. Government-funded researchInventions or discoveries that result from efforts financed wholly or in part by Federal funds will be treated in accordance with the provisions of Public Law 96-517, “The Patent and Trademark Amendments of 1980” known as the Bayh-Dole Act. This act provides that the contractor (University of Delaware) may retain full title, right, and interest in inventions made under contract with the government, with certain exceptions for unusual circumstances. Except as specifically superseded by provisions of a specific funding agreement, inventions and discoveries covered by this section will be treated as outlined in section B, above. Research funded by grants or other contractsIntellectual Property resulting from research conducted by faculty, staff, or students, which research has been financed wholly or partially by industrial, philanthropic or other organizations, or by individuals, under contracts or written agreements are governed by the terms of such contracts or agreements, and the principal investigator is responsible for informing co- workers of their rights under such contracts or agreements before initiation of the research. Intellectual Property not required to be assigned by contractual terms may be processed or disposed of by the University as provided in section B, above. Intellectual Property resulting from research conducted wholly at the expense of the individual, without use of University facilities, equipment, or materials, and are outside the individual’s normal field of activities and employment responsibilities are the property of the individual, and the University undertakes no responsibility with respect to such Intellectual Property. In all such cases the Provost will confirm the individual’s ownership rights to the Intellectual Property to the inventor(s) or developer(s) to dispose of as the inventor(s) or developers see(s) fit. At the sole option of the inventor(s) or developer(s) and with the University’s prior assent, such Intellectual Property may be conveyed by assignment to the University. 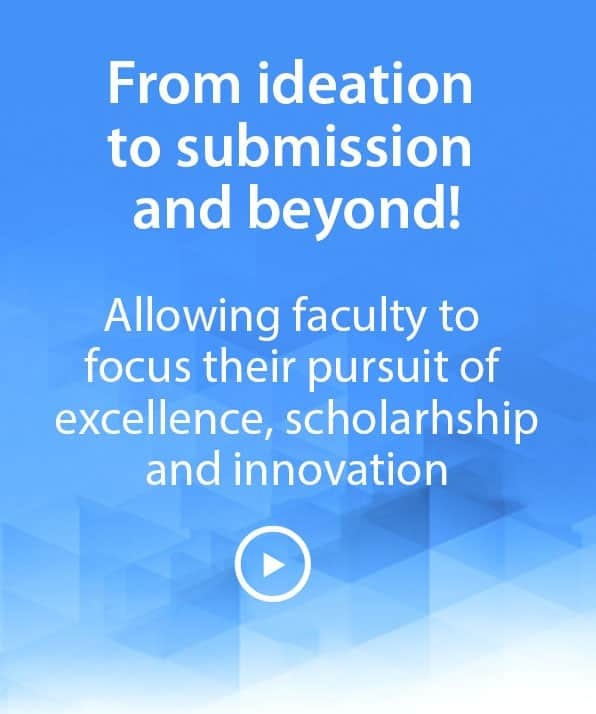 It is the policy of the University, with reference to all creative work of faculty, staff, and students, to recognize the interests of all parties involved, to provide a mechanism for the identification of commercial opportunities, to provide guidelines for making a proper and equitable distribution of benefits, and to assist the inventor(s) or developer(s) in benefiting from his or her creative efforts. It is important to realize, however, that under U.S. law the parties identified as possible joint inventors are those who have contributed to the conception of an invention and sign a declaration attesting to their role. The decision on inventorship is a legal decision and different from the guidelines used to establish co-authorship. In situations where the University pursues commercialization through the licensing or transfer of rights in the Intellectual Property to another entity, the University normally elects to do so by assigning its rights to the UD Technology Corporation, a University affiliate established to facilitate such commercialization. Roles and Responsibilities in Patent ProcurementThe patent procurement system involves technical and legal efforts over a number of years to obtain meaningful, enforeceable patents to protect valuable intellectual property developed through research programs at the University. After a University inventor files an Invention Disclosure to initiate the patenting process with the Research Office, there are four stages of patent prosecution over a 3-5 year period. The most critical decisions in this process, however, occur within the first 30 months and carry with them significant costs. This policy defines the critical elements and procedures of the process and allocates technical, legal, and financial responsibilities attendant with each element. Invention Disclosures, prepared by University research personnel, are submitted to the Research Office via the Department Chair(s) and the Dean(s) of the College(s) involved for review, approval, and action as described in Section B above. If approved, the Research Office will arrange for an appropriate U.S. provisional patent application to be prepared and filed with the USPTO through outside counsel. In the case of industry-supported research agreements, the costs associated with the preparation and filing of the provisional application will be borne by the industrial collaborator. Costs incurred for patenting inventions from research not supported by an industrial partner will be shared as follows. if the fully developed form of the provisional patent application is selected as appropriate and filed, the costs will be shared one-third by the Research Office; one-third by the department(s) of the inventor(s); and one-third by college(s) of the inventor(s). If the University determines it will not file, the inventor(s) shall have the right to appeal such a decision to the University Research Council. one-third of the costs by the College(s) of the inventor(s).If the University determines it does not wish to continue, the inventor(s) shall have the right to appeal such a decision to the University Research Council. If the Dean(s) of the College(s) elect(s) not to proceed and the University does not wish to continue, the invention and associated patent application(s) shall be offered to the inventor(s) as per Paragraph II.B.4 above. If accepted by the inventor(s), they shall be fully responsible for all future costs, governmental notifications, and other obligations. No conversion to a utility application, or filing of a PCT application, will be made until the inventor(s) have developed a detailed plan and/or identified an industrial partner to further develop the invention. The University Intellectual Property Committee will be asked to assist in evaluating the intellectual property for future marketing and utilization and to identify potential industrial partners to further develop the invention. one-third of the costs by the College(s) of the inventor(s).If the University determines it does not wish to continue, the inventor(s) shall have the right to appeal such a decision to the University Research Council. If the Dean of the College elects not to proceed and the University does not wish to continue, the invention and associated patent application(s) shall be offered to the inventor(s) per Paragraph II.B.4 above. If accepted by the inventor(s), they shall be fully responsible for all future costs, governmental notifications, and other obligations. one-third of the costs by the College(s) of the inventor(s). If the University determines it does not wish to continue, the inventor(s) shall have the right to appeal such a decision to the University Research Council. If the Dean of the College elects not to proceed and the University does not wish to continue, the invention and associated patent application(s) shall be offered to the inventor(s) as per Paragraph II.B.4 above. If accepted by the inventor(s), they shall be fully responsible for all future costs, governmental notifications, and other obligations. NOTE: In the event the patent application has been licensed or is subject to other legal obligations, prosecution of such applications shall continue until expiration or release of such obligation(s). The Research Office will operate to manage the patent prosecution effort and oversee the activities of outside counsel. The Research Office shall communicate information and coordinate decisions with the inventor(s), Department Chair(s), and the Dean(s) of the appropriate College(s) involved to ensure the implementation of academic directives. If the patent(s) are successfully licensed, for the purpose of recovering patent prosecution costs, Net Revenues from the licenses will be allocated in accord with the allocation formulas of Section F, below. Appeals of any decision not to file an application or to discontinue patent prosecution of a pending patent application shall be taken to the University Research Council. Arbitration of DisputesIn the event the University and the inventor(s) or developer(s) cannot agree with respect to any of their respective rights or obligations hereunder regarding a non-patent procurement matter, such dispute shall be submitted for determination to an arbitration panel of three members chosen from the University community and having a member named by the inventor(s), or developer(s), a member named for the University by the Provost, and a chair selected by mutual agreement of these two nominees. The decision of a majority of such panel shall be final and binding upon both the inventor(s) and the University. Income received by the University or the UD Technology Corporation from the commercialization of Intellectual Property, including but not limited to upfront technology access fees, royalties, approvals to assign rights, equity interests, compensatory damages for infringement and other direct damages awards (“Revenue”) shall be used first to reimburse the parties (the University, UD Technology Corporation and other University units as appropriate) that shared in the costs for direct assignable or foreseeable future expenses arising in connection with obtaining or litigating the Intellectual Property (“Expenses”). An additional 15 percent of the net Revenue remaining after recovery of expenses shall be retained by the University or UD Technology Corporation for management expenses to cover overhead. For the case where income is coming from all sources except litigation, the remaining balance, “Net Revenue” shall be distributed quarterly and divided one-third to the inventor(s), one-sixth to the department(s) of the inventor, one-sixth to the College(s) of the inventor(s), and one-third to the University or UD Technology Corporation. For the case where income is coming from litigation, “Net Revenue” up to $3 million dollars shall be distributed quarterly and divided one-third to the inventor, one-third to the College(s) of the inventor(s), and one-third to the University or UD Technology Corporation. Above $3 million dollars, “Net Revenue” shall be distributed quarterly and divided one-fifth to the inventor, two-fifths to the College, and two-fifths to the University or UD Technology Corporation. Punitive damages and/or treble damage awards obtained in litigation of IP matters shall be retained solely by the University. If two or more inventors or developers are entitled to share in the portion of “Net Revenue” earned by them under Section II.F(i), the inventors and developers must sign, have notarized, and present to the University an agreement stipulating how such income will be shared among themselves before the University will distribute any “Net Revenue” to such inventors and/or developers. In the absence of an agreement among the inventors providing specific guidance regarding the distribution of their shares of “Net Revenue”, the University (or UD Technology Corporation) shall distribute the inventors’ share of “Net Revenue” in equal shares to each University inventor. In the event that compensation from the Intellectual Property is in the form of restricted or unrestricted common or preferred stock, such stock will be distributed in accordance with Section II.F(i) as soon as practical after receipt by the University, or the appropriate portion of shares may be registered directly with the inventor(s) or developer(s). It shall be the sole responsibility of the inventor(s) or developer(s) to satisfy any personal tax obligations related to stock distributed to them under Section II.F(i). When Intellectual Property is created under contract with an outside agency as provided in Sections II.C-2 and II.C-3, the division of income shall be in accordance with the terms of the contract. In the event that any contract with an outside agency provides for the University to receive unrestricted funds from the Intellectual Property, such funds shall be divided as provided in Section II.F(i). In the event that Revenue is received under an agreement granting licenses for two or more patents or works, the prorating of income among the patents or works shall be determined by the University Patent Committee(see Section II.F(i), above) using the procedure of Section B as a guide. This Committee shall utilize legal, accounting, and scientific consultants as it deems necessary in making its decisions. If one or more of the inventors named in the patents or works involved disagrees with the decision of the committee, the matter shall be resolved by arbitration as provided in Section II.E. Revenues less than $100.00 received by the University or UD Technology Corporation shall be retained by the University or UD Technology Corporation and not distributed. 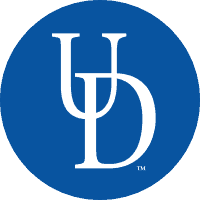 This policy addresses the University of Delaware’s (UD or University) responsibility to promote objectivity in research and education activities by 1) requiring that significant financial interests of faculty, staff and other members of the University-research community be disclosed, and 2) providing means for managing conflicts of interest (COI) should they arise. A potential COI occurs when there is a divergence between an individual’s private interests and his or her professional obligations, such that an independent observer might reasonably question whether the individual’s professional judgment, commitment, actions, or decisions could be influenced by considerations of personal gain, financial or otherwise. Whether a COI exists depends on the circumstances, and should be determined on a case by case basis. As used in this policy, the following terms shall have the meanings indicated:Financial Conflict of Interest (FCOI) refers to a significant financial interest (SFI) that could directly and significantly affect the design, conduct, or reporting of research. SFI refers to a financial interest, as described in Section IV of this policy that reasonably appears to be related to the employee’s institutional responsibilities. SFI does not include income, payment, or sponsorship received from: a federal, state, or local government agency, an institution of higher education as defined in 20 U.S.C. 1001(a), an academic teaching hospital, a medical center, or a research institute affiliated with an institution of higher education. 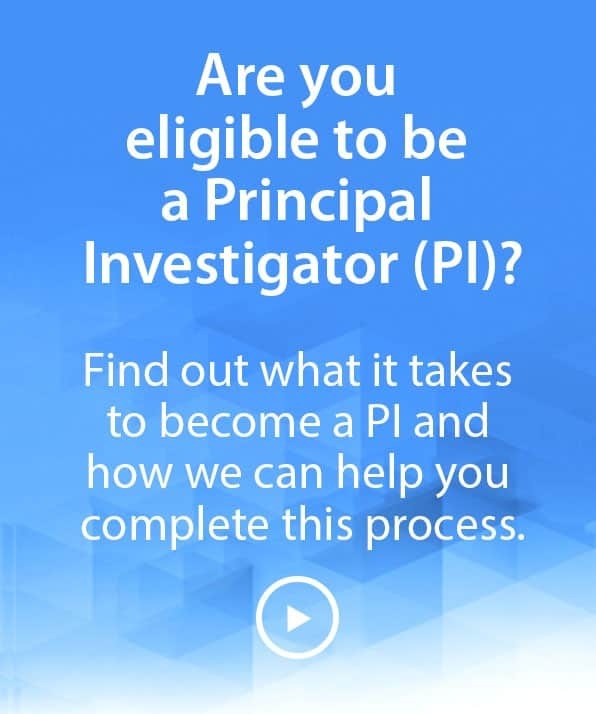 Investigator refers to the project director or principal investigator and any other person, regardless of title or position, who is responsible for the design, conduct, or reporting of research (may include collaborators and consultants). Remuneration includes salary and any payment not otherwise identified as salary (e.g., consulting fees, honoraria, paid authorship, etc.). Equity interest includes any stock, stock option, or other ownership interests as determined through reference to public determination or other reasonable measures of fair market. The involvement of faculty, staff and other members of the University-research community with appropriate commercial enterprises is an important part of the transfer of knowledge and is encouraged by the University to enhance teaching, research and outreach programs. Association of faculty or professional staff with commercial enterprises should be such that it benefits all the parties involved, including the University. All faculty, staff and members of the University-research community are expected to conduct their research-related duties with integrity, and to avoid association with activities that could diminish or could be perceived as diminishing the effectiveness of their commitment to the University. It is the responsibility and obligation of faculty, staff and members of the University-research community to disclose all SFIs that may affect, or appear as if they could affect, their University-related responsibilities. With regard to any publicly traded entity: any remuneration during the previous 12 months received from the entity, and the value of any equity interest in the entity that when aggregated exceeds $5,000; and/or any equity interest that represents more than 5% ownership in a single entity. With regard to any non-publicly traded entity: any remuneration during the previous 12 months received from the entity that when aggregated exceeds $5,000; and/or any equity interest. Intellectual property rights and interests (e.g., patents, author’s rights, etc. ), other than those assigned to UD and shared through proper agreements (Intellectual Property Protection, Ownership, and Commercialization), upon receipt of related income that when aggregated exceeds $5,000. Any reimbursed or sponsored travel during the previous 12 months by an entity different from those listed in the definition of SFI (Section V of this policy). Any arrangements that involve a consulting agreement or other outside professional activities. 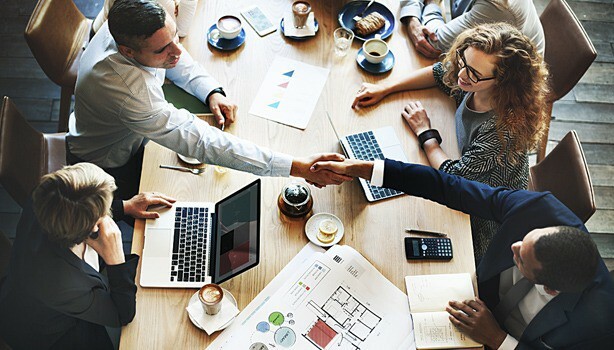 Participation in, or personal sponsorship from, any entity that invests in, or provides financial support for, activities related to the employee’s University areas of responsibility. An appointment as an officer, director, or any other managerial position in a commercial enterprise; participation in the day-to-day operations, including serving on the scientific advisory board, of a commercial enterprise. Any situation that has the potential for, or could be perceived as, a conflict of interest (i.e., might interfere with the employee’s institutional responsibilities). if known, the monetary value of the reimbursement or sponsorship. Disclosures of SFIs must be directed to the appropriate chair, dean, unit head, or supervisor for review, COI determination, approval, and direct management, and forwarded to the Research Office for compliance monitoring. The chair, dean, unit head, or supervisor shall review the SFI disclosure to determine if any of the SFIs disclosed could generate a COI. A COI exists when an SFI is related to a specific research project and/or any other institutional responsibility of the employee, and could have a significant and direct effect on it. Severance of relationships that create the conflict(s). If the situation remains unresolved following this review, the chair, dean, unit head, or supervisor may submit the matter to a Conflicts Advisory Committee appointed by the dean (or equivalent). This committee will consider the situation and recommend steps necessary to resolve the matter. The dean (or equivalent) may accept, reject, or modify the committee’s recommendations. If the faculty or staff member objects to the resolution offered by the dean (or equivalent), the matter shall be referred to the Provost (or equivalent) who shall appoint, convene, and seek advice from a university level ad hoc Conflicts Committee. The Committee, which shall include no less than five members representing the colleges and other constituencies as appropriate, shall serve as a resource in the identification and resolution of the specific conflict of interest. The Provost (or equivalent) shall make a final decision regarding the resolution of any conflicts. Management plans will be monitored for compliance during the life of the COI by the chair, dean, unit head, or supervisor with the assistance of the Research Office. Failure to disclose an SFI which is later determined to be a COI, failure by the University to review and manage such COI, or failure to comply with a management plan, would be considered a noncompliance event. If a noncompliance event is identified, then, within 120 days of such determination, the appropriate supervisor, with the assistance of the Research Office, will perform a retrospective review of the employee’s activities to determine if any bias occurred during the noncompliance time period. The retrospective review will be documented including all the following as applicable: the project number, project title, project director, name of the investigator with the SFI/COI, name of entity with which the SFI/COI exists, reason for the retrospective review, detailed methodology used for the review process, compositions of the review panel, and findings and conclusion of the review. If bias is found, the University will promptly inform the appropriate sponsor and submit a mitigation report. The mitigation report will include the key elements from the retrospective review and a description of the impact of the bias, and the University’s plan of action or actions taken to eliminate or mitigate the bias. Records of financial disclosures and all decisions and actions taken by the University will be maintained by the Research Office for three years from effort closeout. 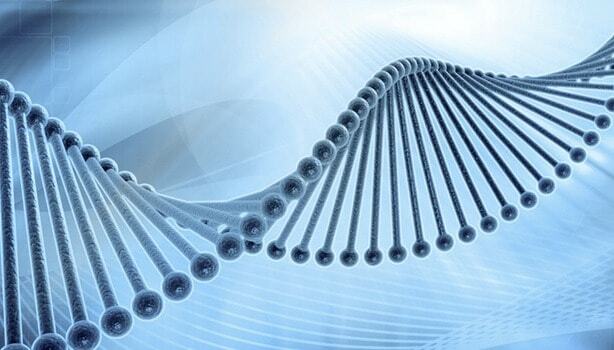 An SFI is related to PHS-funded research if the SFI could be affected by that research. An FCOI exists when it is determined that the SFI could directly and significantly affect the design, conduct or reporting of the PHS-funded research. Whenever the University identifies an SFI not disclosed timely, or not previously reviewed, the dean (or equivalent) shall within 60 days evaluate the SFI and determine if it is an FCOI, in which case a management plan will be implemented. In an event of noncompliance (i.e., FCOI not identified or managed in a timely manner, and/or failure to comply with a management plan), the University shall, within 120 days, complete a retrospective review to determine whether bias occurred during the noncompliance period. If bias is found, the University is required to notify the PHS awarding component promptly and submit a mitigation report, including a description of the impact of the bias on the research project and the Institution’s plan of action or actions taken to eliminate or mitigate the effect of the bias. Elements to include in the retrospective review and the mitigation reports can be found in 42 C.F.R. §50.605. 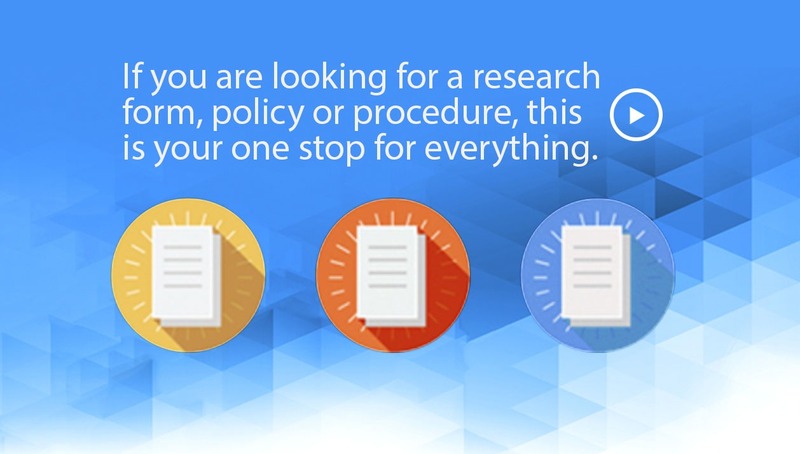 Request an addendum to previously published presentations. As required by the regulations, SFI(s) disclosed to the University and related to PHS-funded research will be made available to the funding agency within five days of a formal request. Disclosures related to federally funded projects, records will be kept for three years from the date of submission of the financial closeout documentation. 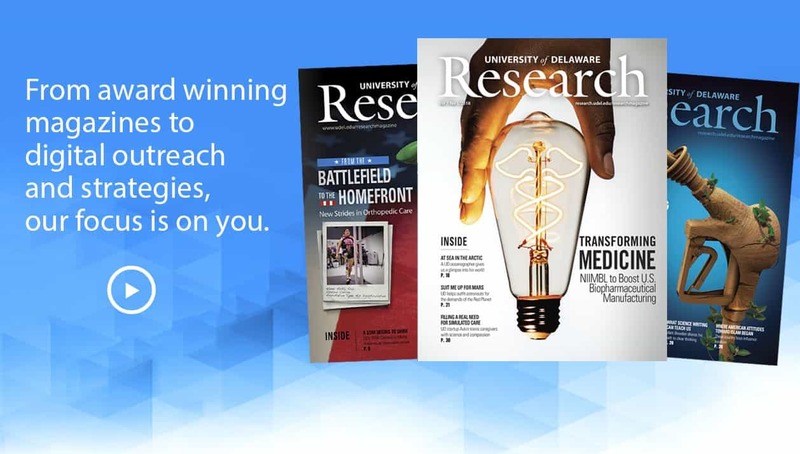 From our latest Research Magazine to our latest discoveries, keep in touch with UD Research by signing up for our services below.